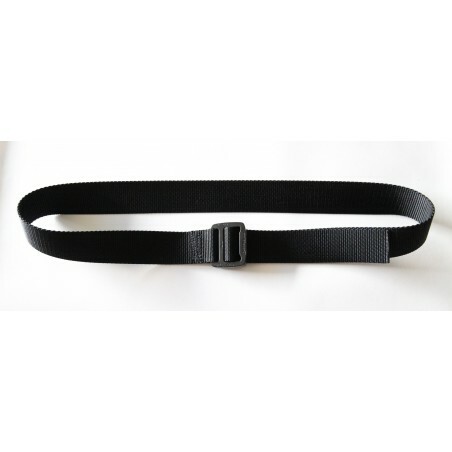 Heavy Duty Tactical COBRA Frame Buckle Waist Belt 1.5". Color Black. All materials such as the webbing and thread are made in the USA. The AustriAlpin buckle is not made in the US. Belt is Berry compliant. Webbing is a heavy duty nylon material. 1.5" wide. There is no Velcro on this belt. Any excess length can be tucked under your belt loop. In general we recommend ordering the same size as your pants size. 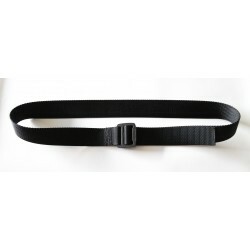 For example if you are a 36" pants size then order a 36" belt.